Home » Credit » How Much Available Credit Should You Have? The importance of the credit score has drastically increased in recent years. Not only is it important for getting the best interest rate on a mortgage or ensuring a zero percent APR on a credit card but it is also a tool employers are using for hiring purposes. This makes maintaining a high credit score crucial. One way to maintain a high credit score is to hold open credit cards that have high credit limits but low to zero balances. According to FICO (the Fair Isaac Company), the creator of the system used to determine your credit score, those with the highest credit scores maintain, on average 2 credit cards with high limits but also hold credit in the form of mortgages, HELOCs and student loans. Determining the number of credit cards you hold depends largely on how you perform with credit. If you rely on credit cards for emergencies and know you are able to pay them down quickly and diligently, you will be able to maintain more open credit than a person who frequently finds themselves in debt. If you have difficulty controlling your financial situation, it may be best to maintain fewer cards. Credit utilization is another way to increase your credit score. 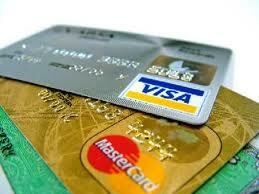 Credit utilization is the percentage of your credit card balances in comparison to your credit limits. To get your credit utilization percentage: take the balance of all credit cards and add them up, then divide that by the limits of all the credit cards you have. For example: If your balances add up to $5,000 and your credit limits add up to $20,000, your credit utilization is 25%. However, a number such as 25% is far too high to maintain a quality credit score. Many industry professionals suggest keeping that number below 10%. Some even say, the closer to 0% the better. Again, FICO states, those with the best credit scores hold cards with high limits but, do not carry high balances. They maintain a low credit utilization percentage. Another important factor in deciding how much credit you should have available is the actions of the banks who own the credit cards. When the most recent recession hit, banks became concerned with the number of creditors who could default on their current debt. In order to minimize the risk, banks lowered the credit limits of a large percentage of their card holders. If you are maintaining just two credit cards and one of those cards has it’s limit cut in half, even without having a balance on it, your credit utilization percentage is going to increase. As an example: if you have 2 credit cards, each with a $5,000 limit, your total is $10,000, if you hold a total balance of $1,000 on both of your cards, your credit utilization is 10%. However, when the bank reduces one of your limits by half, your total credit limits are now $7,500 with you still owing $1,000 your credit utilization has now become just over 13%. This will mean a change in your credit score. One way to alleviate some of that is to maintain more credit cards with high credit limits but carry no balance. The more you have, the less of an increase in your credit utilization and that means less of a reduction in your credit score, should a bank decide to reduce your limit. The amount of credit a person has is really dependent on the individual themselves. Take a careful look at your spending habits, your ability to pay off debts and manage your finances and monitor your credit score. Use your credit cards and spend time watching how your score changes based on the amount you have in balances. Find a ratio that feels best for you and use that to determine the amount of credit you should have. Generally speaking, the more available credit you have, the better.